Fall is in the air … and all over your front porch. Freshly fallen maple leafs are an important signifier of the season, and for many, they kindle positive associations to childhood days spent jumping in freshly raked piles. 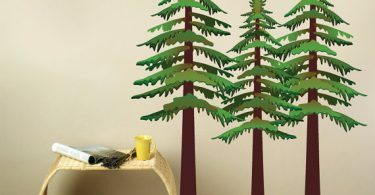 Pay homage to the foliage with these DIY ideas using fallen leaves. Use this simple origami-esq technique to create unique textured roses perfect for decorating anything from garlands to wreaths to the centerpiece on your Thanksgiving table. 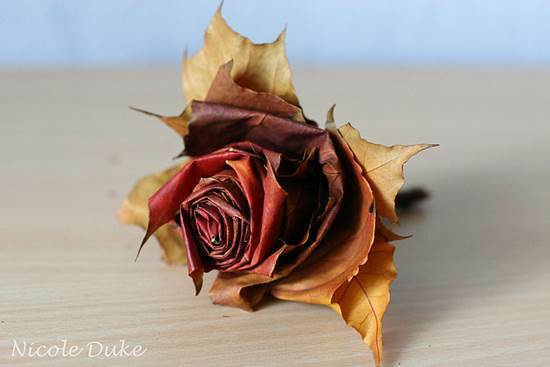 Visit iCreative Ideas for full instructions on how to DIY Maple Leaf Roses. 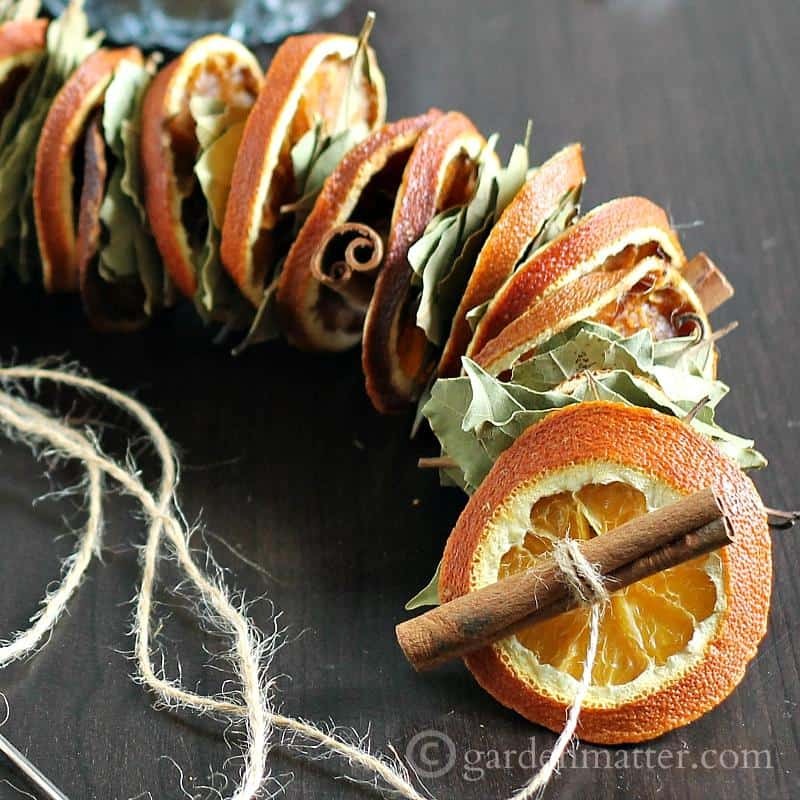 Visit Hearth & Vine for full instructions on how to DIY this Dried Orange Garland. DIY-ing this lightweight bowl is not as complicated as you might think. 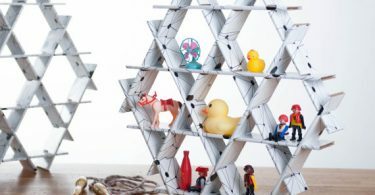 Thanks to troubleshooting suggestions made by this DIY-er, you can recreate this unique dish in five steps with minimal stress and whole lot of Mod Podge. 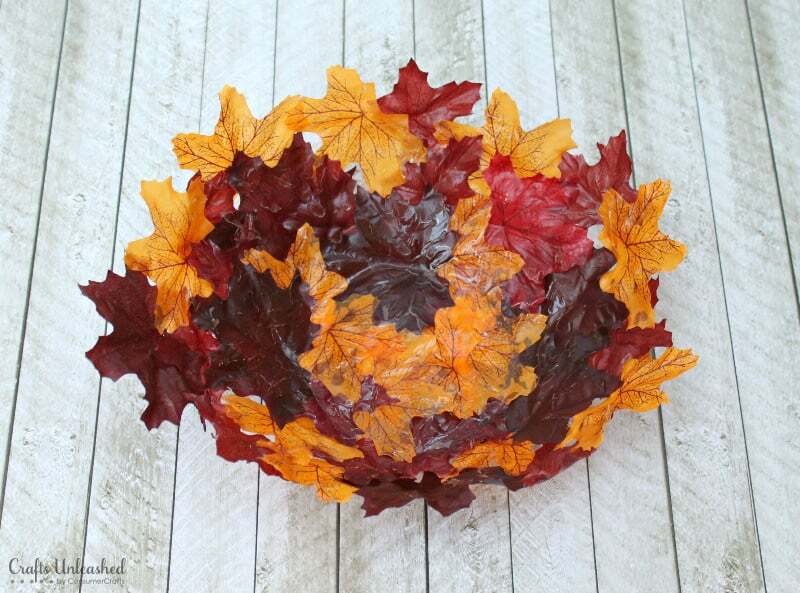 Visit Consumer Crafts for full instructions on how to DIY this Decorative Leaf Bowl. 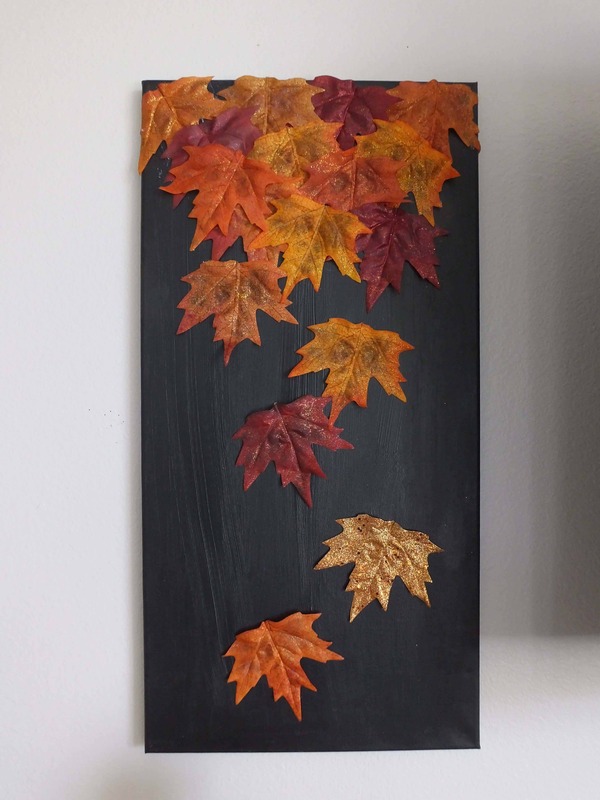 Take the “fall” out of “fallen leaves” with this wall art idea. The instructions below call for craft leaves, however, actual fallen leaves could also work, so long as you preserve them properly. Visit The View From Here for full instructions on how to DIY a Fall Leaf Canvas. This idea, inspired by Brushes with a View via Etsy, provides a festive, DIY-able alternative to sipping your vino in plain glassware. Beware of machine washing these babies! 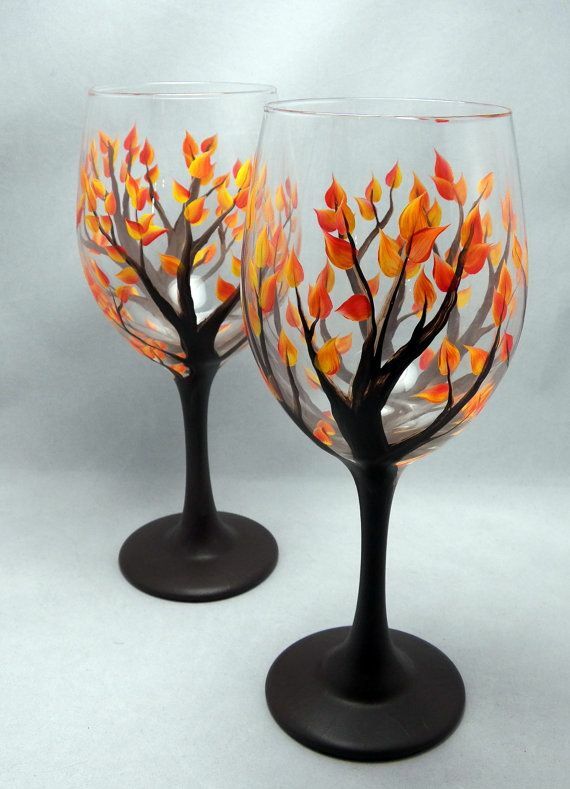 Visit Wonderful DIY for full instructions how to recreate these Painted Wine Glasses.